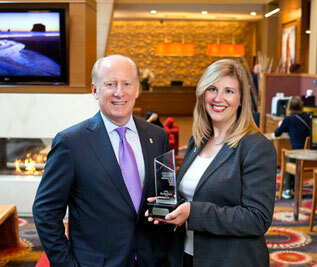 Vancouver, B.C., July 3, 2013 – Suzanne Allemeier, General Manager of Residence Inn® by Marriott Vancouver Downtown, has been awarded the 2013 Opening General Manager of the Year Award by Residence Inn® Marriott®. 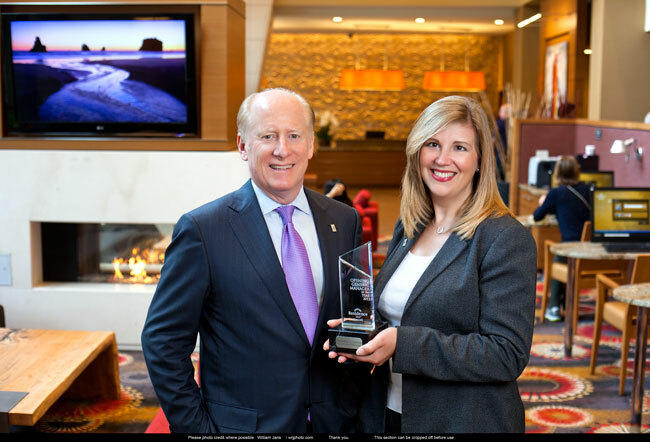 The Opening General Manager of the Year Award recognizes a general manager who demonstrates outstanding leadership and management skills to help the hotel achieve exceptional financial results and high guest satisfaction during the hotel’s opening year. This year’s award was open to general managers of hotels that opened between August 2011 and August 2012. Suzanne assumed the General Manager position with Residence Inn® by Marriott Vancouver Downtown in December 2011 and played a vital role in integrating the hotel team leading up to the grand opening in July 2012. Prior to this, she was the General Manager of the Holiday Inn & Suites Vancouver Downtown and Guest Services Manager at Crowne Plaza Hotel Georgia. Suzanne is also currently the Past-Chair of the Hotel Association of Vancouver. The Residence Inn® by Marriott Vancouver Downtown is a 201-room all-suite hotel with well-equipped kitchens, free WiFi and in-room high-speed internet access, enhanced work desks, ergonomically designed chairs, luxury bedding and daily complimentary hot breakfast.